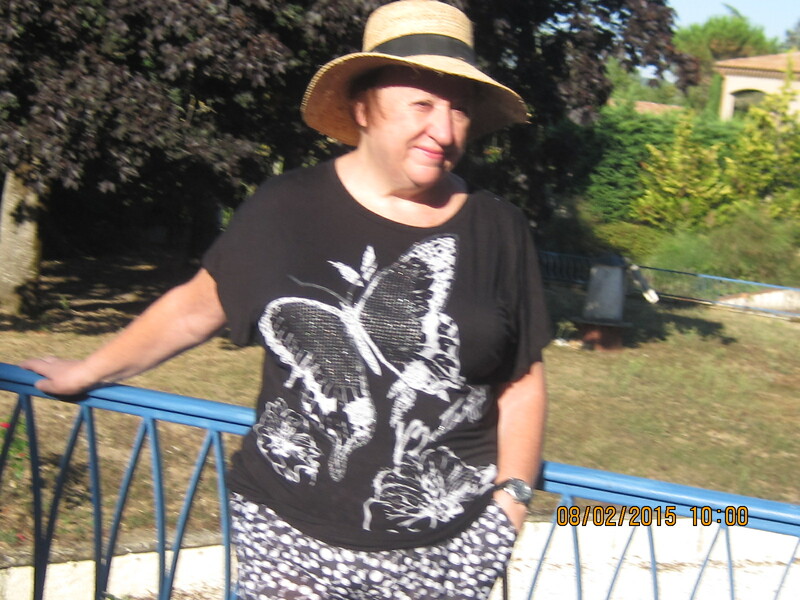 Today, I’m delighted to welcome guest blogger Olga Swan, who also lives in SW France. Lamplight, the first in her David Klein, war-reporter, series is released tomorrow by Crooked Cat. Olga’s post gives us a flavour of her series, which spans the build-up to World War II and the war itself, and outlines some of the universal questions it raises. I’m looking forward to reading it. Why do we love the history genre so much? Is it because it’s already happened and can’t be changed, giving us an element of security over the uncertainty of the future? Or is it because it’s something we can learn from and try never again to repeat? With this very much in mind I set out to write a series of novels set in the past but with embedded questions for the whole world to answer. 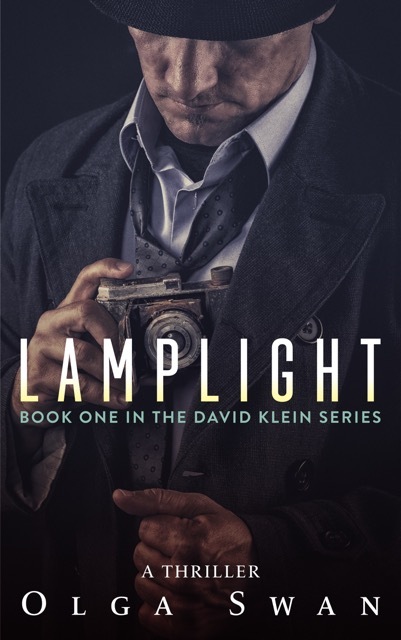 Lamplight is book 1 in the David Klein, war-reporter series. Parts of the story were drawn from my own family history. The SS Manhattan, which left New York in June 1933, as recorded by my father who was on board, is the same ship on which my character sails back home. Similarly, the house where David is born in Cregoe Street, Birmingham, is where my father grew up. David Klein is eighteen in 1912 when he runs away from the poverty and orthodoxy of his Jewish home in Birmingham, England, for the bright lights and opportunities of New York. But trouble is in store. From the anguish and terror of nearly drowning at sea, the story moves between New York, Birmingham and eventually to Breslau in Germany where, when working as a war reporter, he meets Karin. Together, they live through the burgeoning terror of Nazi Germany in 1938. Book 2 is set during the noir days of 1942 Vichy France. Living in France, I was able to research valuable source material from the original French. This is the story of David Klein and Karin Schmidt, struggling to come to terms with their past lives in wartime France and the French Resistance. At the same time, the story records the agonising dilemma facing Philippe Pétain: should he take his government into exile, as urged by Charles de Gaulle, or free his people from suffering by signing an armistice with Adolf Hitler? Set against the true, historical background of the Vichy government culminating in Pétain’s nail-biting trial for treason, as well as an explosive Adolf Hitler and an irascible Winston Churchill, David and Karin live through agonising days until the final day of reckoning. Could and should Pétain have done more to stop the murderous deportations? Or, as an old, tired, man did he choose the easiest option? I am currently researching book 3 in the series, Locomotive, set in 1943 Belgium. My grateful thanks to Vanessa for hosting me on her prestigious blog. Much appreciated. Lamplight is released on Thursday 25th February 2016. Don’t miss Olga’s online Facebook launch party including historic pictures of old Birmingham, film clips and wonderful music from the period from ragtime to jazz to Sinatra. Olga Swan is published by Crooked Cat Publishing, Edinburgh. She worked for 30 years at an English redbrick university before retiring to France. A university is the fictional setting for Olga’s tale of academic intrigue, 3rd Degree Murder, also published by Crooked Cat. She also writes children’s literature under her real name, Gillian Green. Read her weekly, sometimes contentious, Sunday blog. Copyright © Olga Swan 2016. All rights reserved. 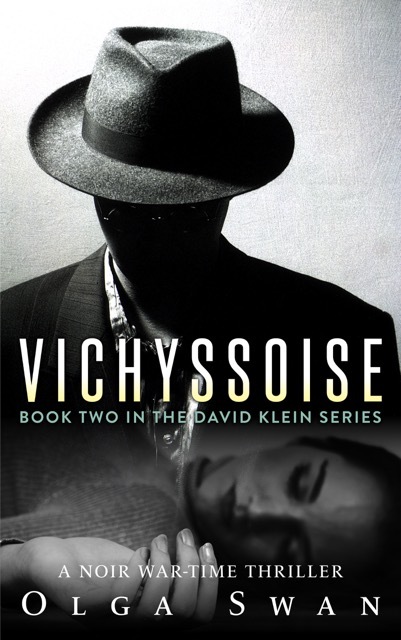 This entry was posted in Historical Fiction, History People guest posts and tagged historical fiction, Lamplight, Nazi Germany, Olga Swan, Vichy France, Vichyssoise, World War II by nessafrance. Bookmark the permalink.